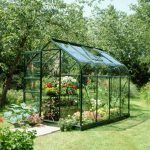 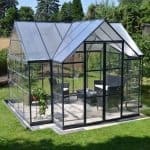 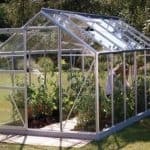 This 6 x 14 greenhouse is long and it therefore has plenty of space in it for the cultivation of plants. 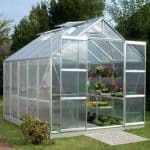 The polycarbonate covering that runs throughout the building protects the interior from the harmful effects of UV rays, and stops the weather from being a problem due to its natural durability. 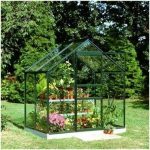 It is actually much tougher and safer than glass. 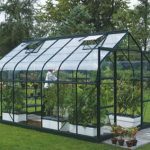 There is an opening window included as part of the purchase, and this means that you can easily add more air circulation as and when you need it. 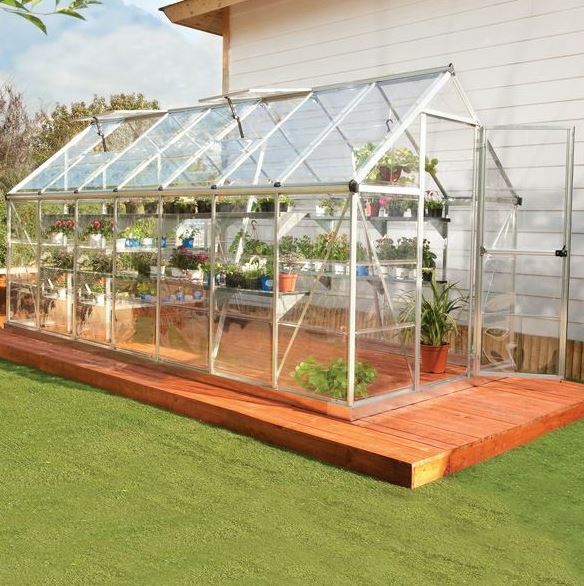 A 5-year warranty covers rust and corrosion.